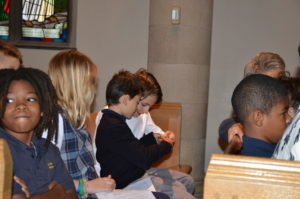 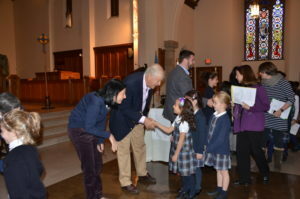 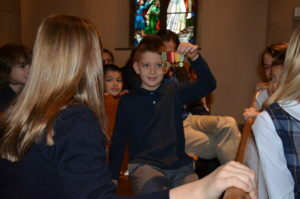 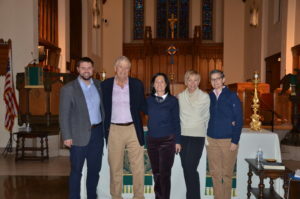 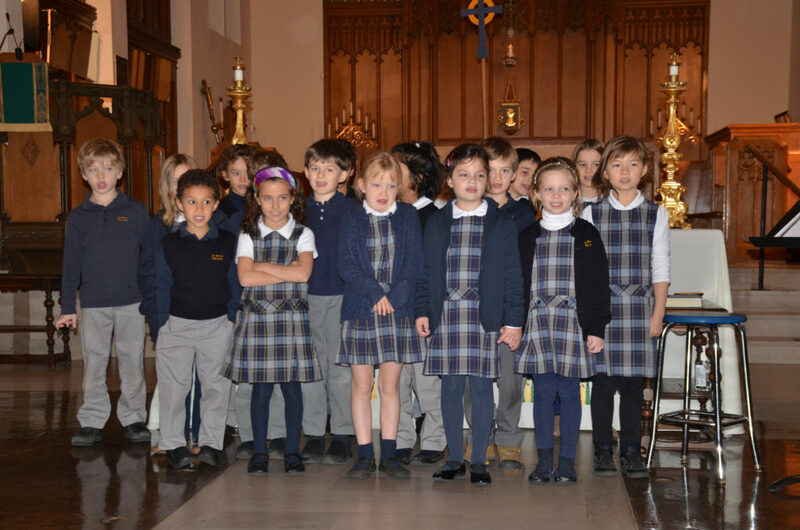 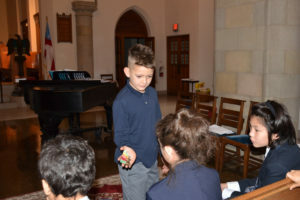 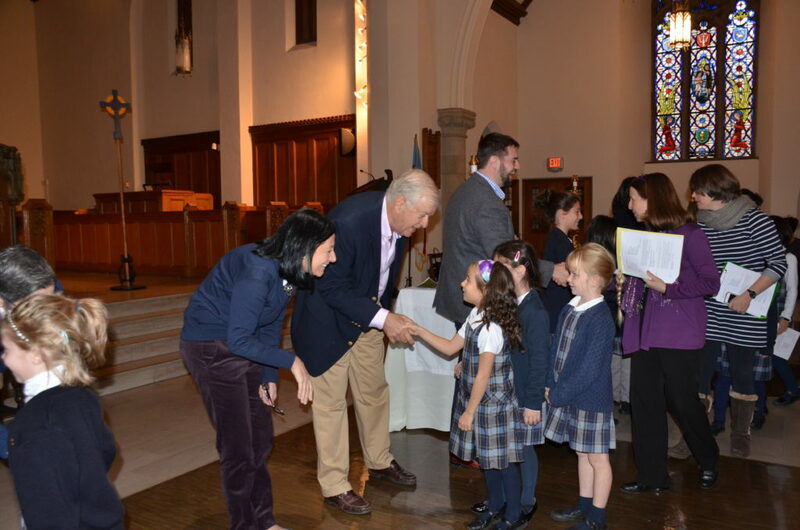 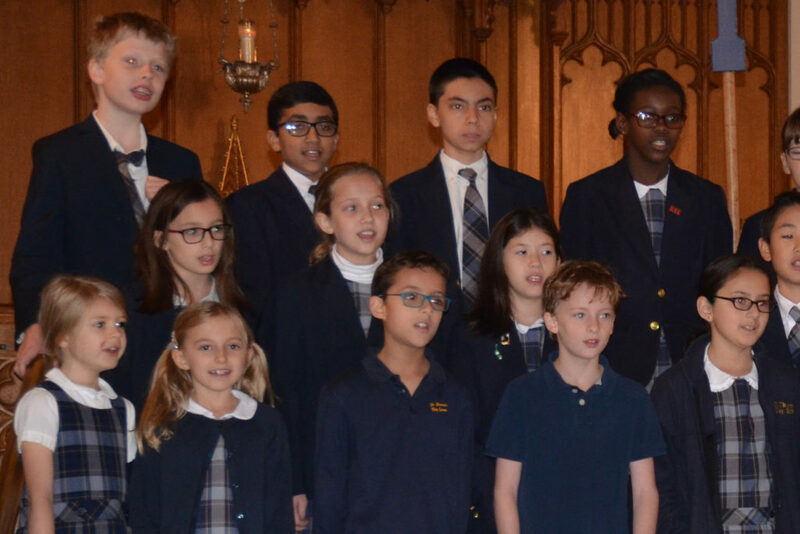 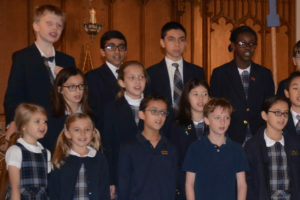 The St. Thomas’s Day School community came together on Monday, November 13 for a special gathering to observe Veterans Day and to honor those who have served in the United States Armed Forces. 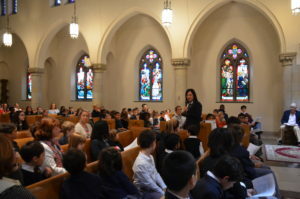 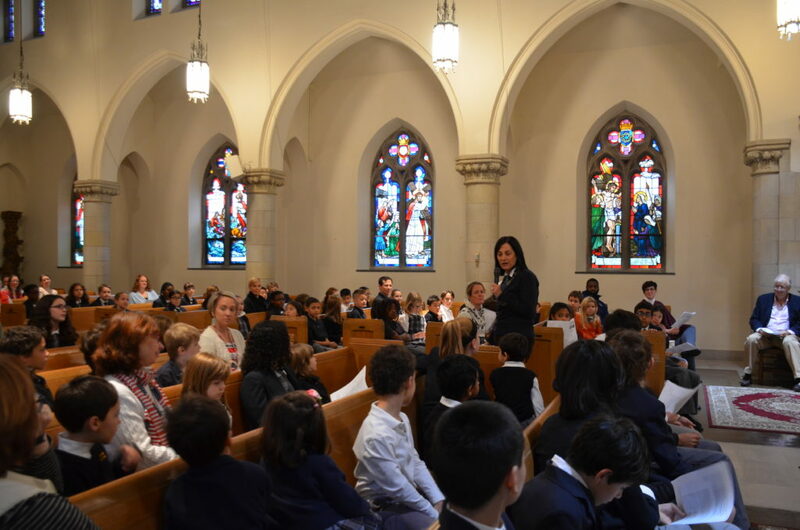 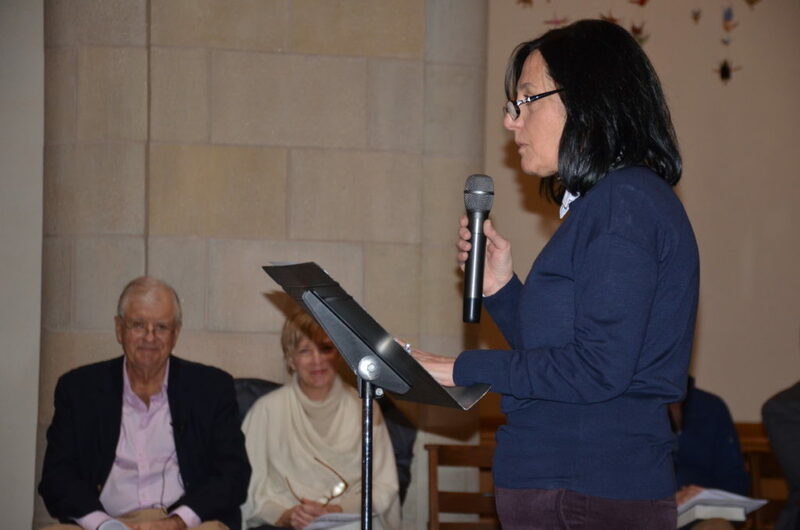 The program began with our students, faculty and parents joining together to sing “America the Beautiful” and Head of School Gina Panza engaging our students in a discussion about why we observe Veterans Day. 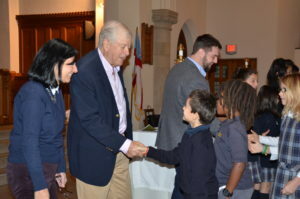 The highlight of the program was guest speaker, current parent and former Naval Officer Waring Patridge IV. 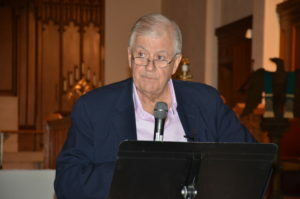 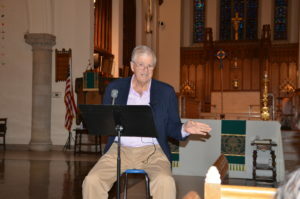 Mr. Partridge served as an aircraft carrier Deck Division Officer in the US Navy and was stationed in Danang, Vietnam and the Pentagon during his time in active duty. In addition, he is an ROTC graduate of Yale College and a graduate of Catholic University Law School as a beneficiary of the GI Bill. Mr. Partridge spoke of his service and then of his belief that national service goes beyond the military and veterans, that it includes anyone in a position to serve the people of our country, such as doctors and foster parents. 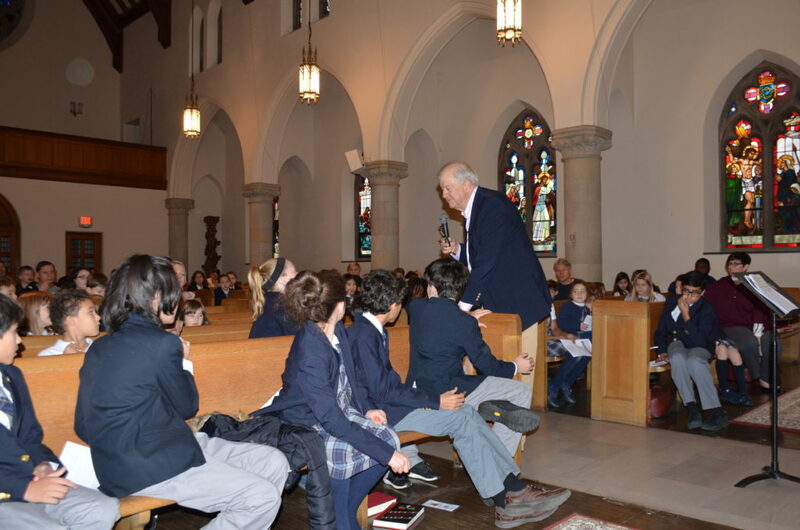 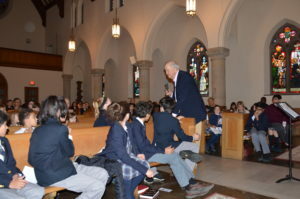 He quoted John F. Kennedy’s famous words, “ask not what your country can do for you, ask what you can do for your country,” and urged all of our students to process and/or seek to understand what that meant. 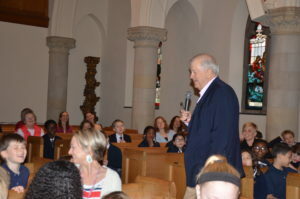 The question and answer part of Mr. Patridge’s presentation was perhaps the most exciting, as our students asked everything from, “How did you decide to enter the military?” to “Did you get sea sick?” and his son, a fourth-grade student, passed around his father’s military medals and photos of the ship. The program also included the reciting of “The Flag Goes By” by our second-graders and an outstanding rendition of “Thank You Soldiers” by the St. Thomas’s singing group, the Bluestars. Chaplain Eric concluded the service by asking all those who have served in the military or who would like to honor a family member of friend who has served in the military to stand. The St. Thomas’s community would like to honor Waring Patridge and all of our alumni, grandparents, parents and faculty who have served, or who are currently serving, in the military. Thank you for your service!